After this week, I think it’s fair to say many of us are feeling a little bit of UK theme park fatigue. Between Icon testing and Wicker Man opening day, then not opening, then soft opening yesterday, between the lot of us I think we’ve seen enough angles of both of these coasters to last us a lifetime – and one of them isn’t even open yet! Anyway, here at Cupcakes & Coasters I do always try to be as all-encompassing as possible – the theme park world stretches way beyond the UK, Orlando and those few parks in Europe everybody manages to visit, and there are incredible projects happening all over the world that deserve more love than they’re currently getting. If they were happening on our door step we’d basically die of excitement, so I want to spread the joy. Here’s five theme park projects you should be following. OK, I know I’ve just poo-pooed the standard European parks, but I don’t think enough attention has been paid to the HUGE expansion currently taking place at Walibi Belgium. 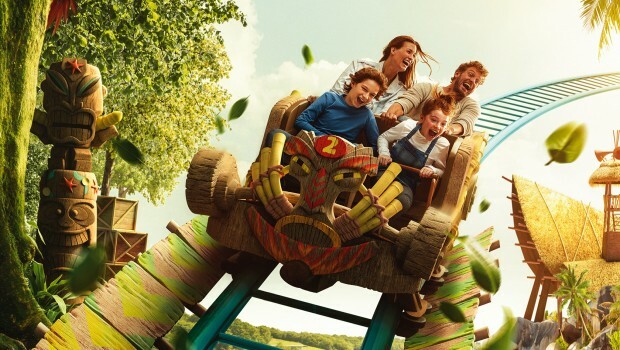 A few weeks back the park release the logo for their currently under construction Gerstlauer Bobsled Tiki-Waka, the first in a line-up of three brand new coasters coming to the park from now until 2021. This is all part of a €100 million investment plan including the addition of a 700sqm waterpark, renewal of the park’s Western themed area including an interactive water attraction and a brand new land themed to werewolves and vampires along with a swanky new 'extreme' coaster for 2021. This isn't so much a specific project but more one just to watch in general. Movie Park Germany has a fascinating history, and is really only now showing recovery from the noughties. Their recent investments have been of pretty substantial impact - from a highly themed immersive tunnel ride experience in Lost Temple to a themed dark-ride/coaster with Van Helsing to the installation of a huge themed IP coaster with Star Trek: Operation Enterprise. Their latest project involves a huge retheme of one the park's most beloved attractions - Mystery River, to Excalibur: Secrets of the Dark Forest. Given the park's recent string of attractions, I am SO excited to see what they do with this ride. I love the ride as it is, so in my opinion they're only going to make it even more amazing. In general they're just a park to keep and eye on and be excited about! Where the hell did Poland spring up from in the big European players in the theme park game? It's like randomly out of nowhere we have not one, but two incredible parks coming out of a country nobody really expected. As much as Legendia looks fabulous, but come on - who can honestly argue that there is a park in the world that has a more exciting 'under construction' section than Energylandia? Firstly, you've got Hyperion. I know a lot of people are already excited about this one, but for those who don't know, how does a 250ft, 88mph Intamin Mega Coaster with an 84 degree drop sound? Erm, hell yes. I need it immediately. And then, if that wasn't enough, they drop the bomb that an RMC is rocking up too! 200ft, 70mph, 3 inversions including a camelback and a zero-g. It's absolutely INSANE and I am SO EXCITED! Turkey is another one of those places that's been on my watch list for a while. With Ankapark having been around and under construction for what seems like forever and a tasty +17 for the taking, it's definitely creeping up the must do list for sure. And THEN, similarly to Poland, Land of Legends rocks up with a Mack Flash clone and pins a must-do pin firmly into Turkey on the map. Flash currently operates at Lewa Adventure in China and it is an absolute beast. 200ft, 72mph and the largest loop in the world, I know Turkey isn't exactly on our doorstep here in the UK but it's a heck of a lot closer to China and this thing looks incredible! 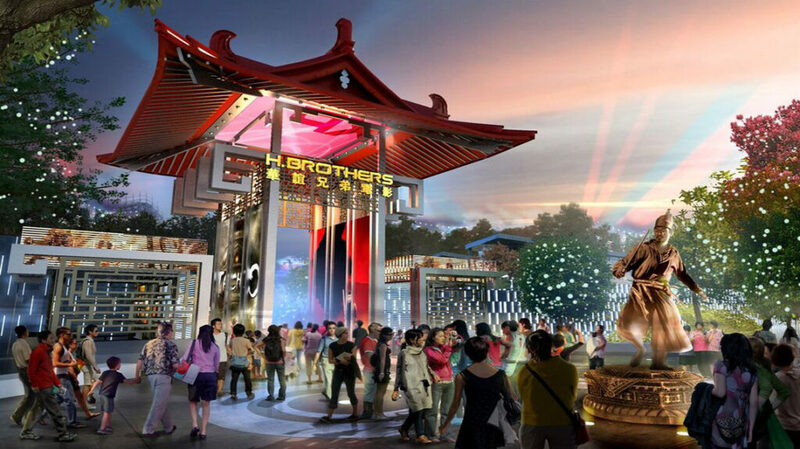 Any long-time followers of Cupcakes & Coasters' Facebook page will know I love me some Chinese theme park concept art, and well I just about died when I saw what Huayi Brothers Movie World in China had in store! The Huayi Brothers, in case you didn't know, are basically the Chinese equivalent of Warners Bros. - a powerhouse of cinematic industry with a ton of characters, stories and IPs to draw from and bring to life in theme park form. Reading about the park, the website promises stories brought to life through cutting-edge technologies, spectacular shows, thrilling rides and unique attractions. 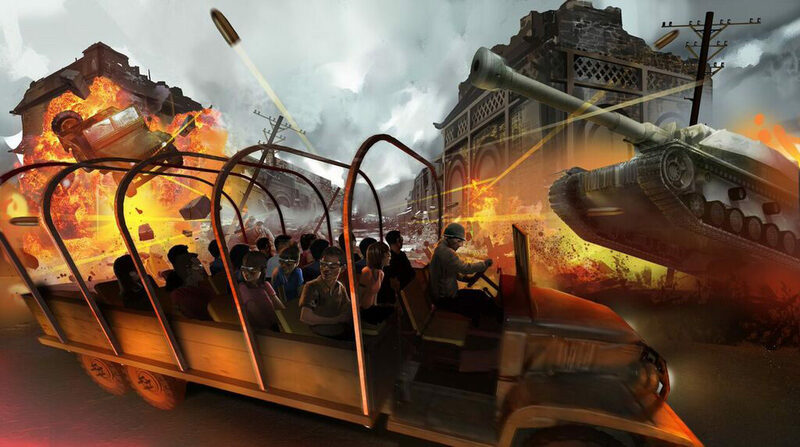 The concept art is absolutely to die for, and after the many, many 'Chinese Disney rip-off parks' it's quite fab to see them take a stab at a Universal style movie park. Hopefully reading this has given you a welcome break from all those pesky Icon and Wicker Man updates - you're welcome!